Robert Dorigo Jones, Policy and Outreach Associate for Michigan’s Children, brings his passion for justice, equity, and public policies that are rooted in what we know about how people grow, to Michigan’s Children. 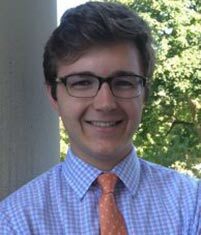 A student of education and social policy, Robert brings four years of experience in policy analysis and traditional, digital, and social media strategy from his time at Michigan State Athletics, the Coalition for the Future of Detroit Schoolchildren, and the Harvard Graduate School of Education. A graduate of Detroit Catholic Central High School, Robert received his bachelor’s degree from Michigan State University and his masters degree from Harvard University. He lives in Lansing with his collection of 2004 Detroit Pistons bobbleheads. Contact Robert using the form below.